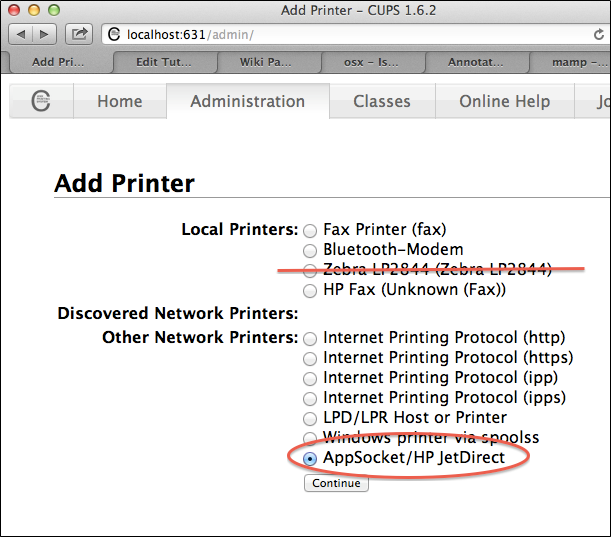 These steps will allow a USB, Network, Serial or Parallel attached printer to receive raw commands through Java on Apple OS X. If you see your USB raw printer in the listing, DO NOT select it. You will be prompted for a port. Note: You do not need the "?location=1a200000" information. The IP address may be configured to use a different address, which is outside the scope of this tutorial. 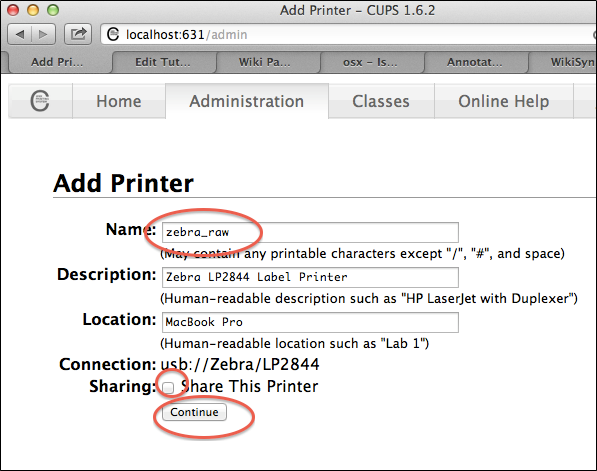 Enter an appropriate Name, Description, and Location for your printer. 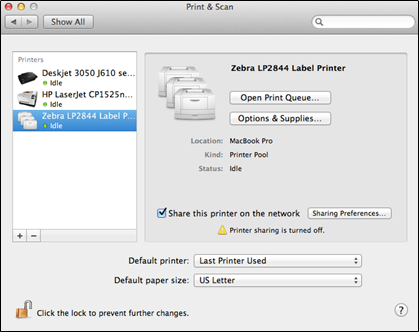 Leave the "Share This Printer" box unchecked and hit Continue. Note: Some print drivers, such as Zebra ZDesigner or CUPS Zebra driver have dual-mode drivers capable of accepting Raw commands as well as PostScript commands. If Raw printing works with the vendor supplied driver, choose that over the Generic/Raw driver. 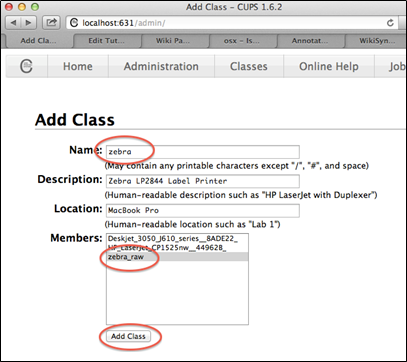 Adding a printer class is purely optional and allows the raw device to be listed in the System Preferences, Print & Scan area of the desktop. Without a printer class, the printer will function properly but will not be listed in the Print & Scan area. Enter an appropriate Name, Description, and Location for your class. It must differ from the raw printer name chosen previously. 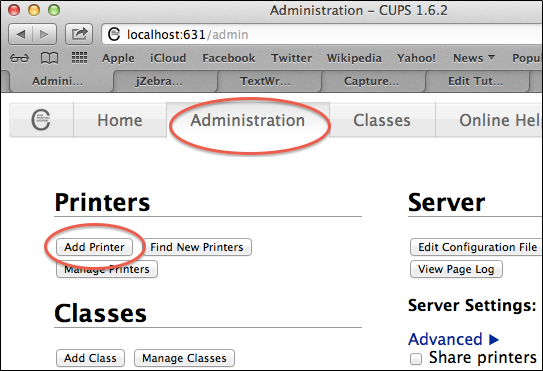 in System Preferences > Print & Scan, your new printer class will be listed. You may use this to monitor print jobs.